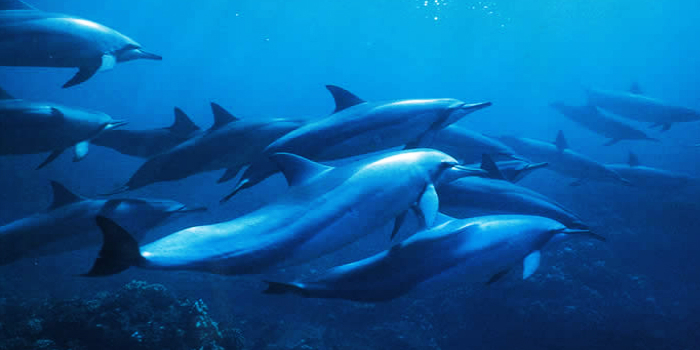 We invite you to witness some of the most interesting and intelligent animals on the globe, Pacific Bottlenose Dolphins, on this ecologically friendly maritime tour. Our organization is dedicated to the cetacean research as well as the conservation of indigenous marine mammals like Bottlenose Dolphins, Spinner Dolphins, Spotted Dolphins, Humpback Whales, and Gray Whales. We have established our tours to help raise awareness about these remarkable and threatened species. 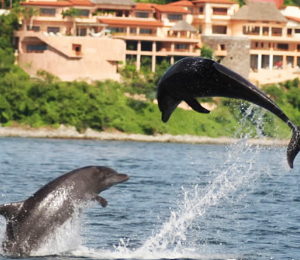 Join our naturalist guides to witness the dolphins as they swim through the gorgeous waters of Banderas Bay. Our bilingual guides are expert marine biologists who are pleased to share their lifelong passion for the study of these majestic aquatic mammals. By joining us on one of these excursions, you will not only see these playful creatures as they swim in their native environment, but you also help to fund our invaluable scientific research and preservation efforts. We started our efforts almost twenty years ago in order to identify the population of dolphins in Banderas Bay through the visual observation and logging of dorsal fins. 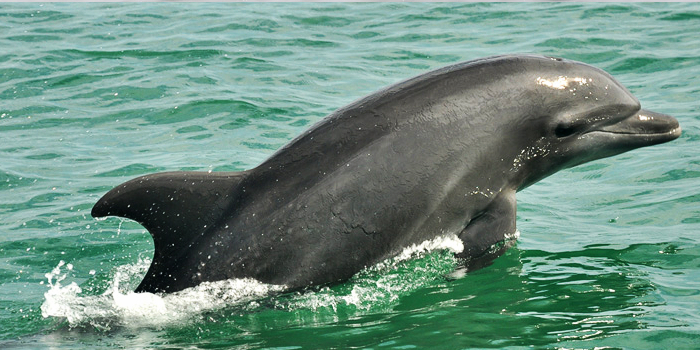 The fins on the backs of cetaceans are as distinctive as human fingerprints. Our trip into Banderas Bay starts with a free continental breakfast. As you fuel up for the trip, our experts will tell you all about dolphins, their socialization, behavior, diet, migration, and environment. After this short orientation, we’ll head out from the Opequimar Docks into Banderas Bay to find dolphins as they surface. Because these are wild animals, we cannot accurately anticipate where and when we will find the dolphins, but our guides are familiar with their habits and patterns. 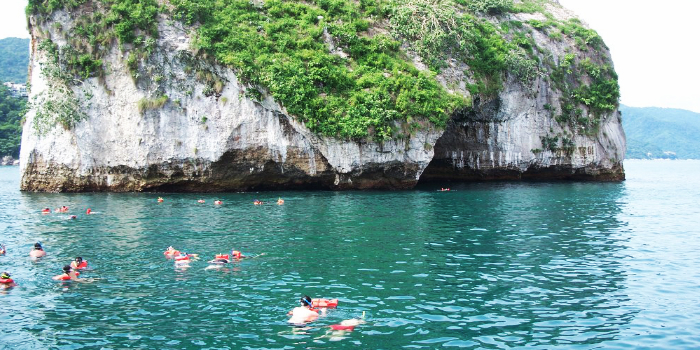 You will not find a more knowledgeable marine guide while visiting Puerto Vallarta. Depending on the type of dolphins we discover, you may even have an opportunity to get in the water as they swim in the area, although we cannot in any way guarantee this. We always have a hydrophone aboard so that tour participants can listen to marine mammals while they communicate. We will also provide snorkeling gear on this excursion. 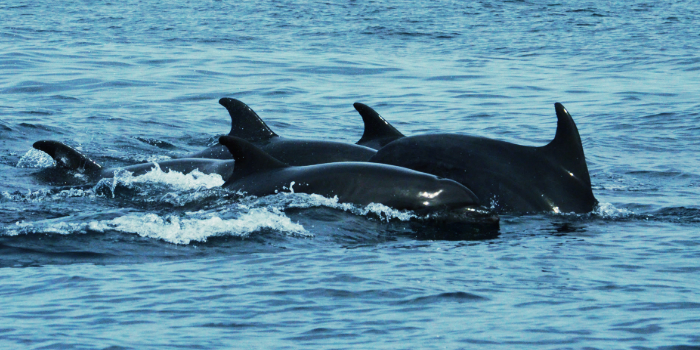 If you are a nature enthusiast, you do not want to miss this exciting dolphin watching tour with our naturalist guides who are dedicated to the conservation and study of these incredible animals. 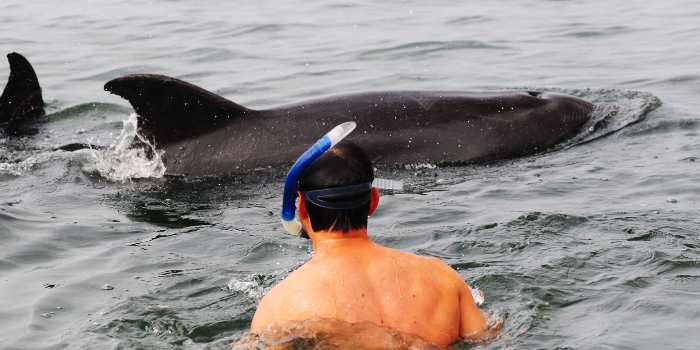 I have been to the Bahamas many times, but Wild Dolphins & Snorkeling Combo is one of my favorite trips! It includes everything that everyone should do here. As a Bahamas veteran, I can say only the best about this experience!